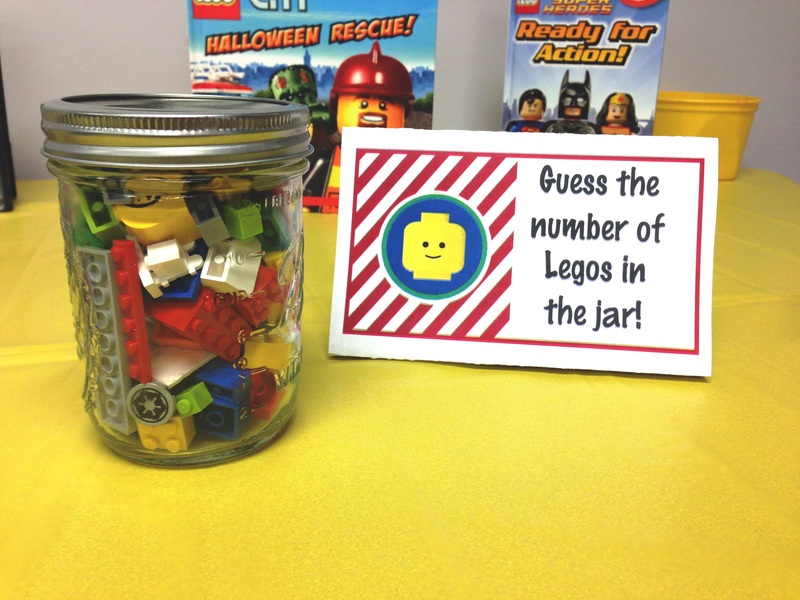 Jar of LEGO® Bricks: The kids had to guess how many pieces were in the mason jar- whoever was the closest won the Mini LEGO® City Police Car set. 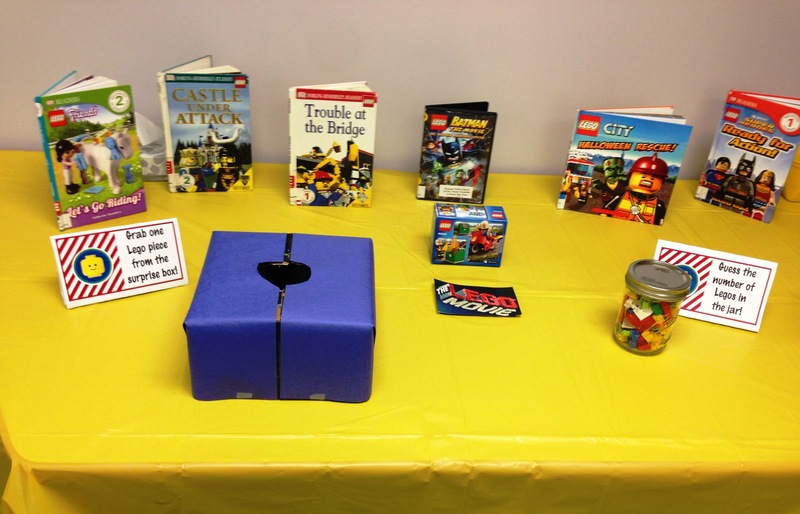 Surprise LEGO® Box: Each person got to pick out one LEGO® piece from the surprise LEGO® box. I had a matching corresponding piece in my bag. 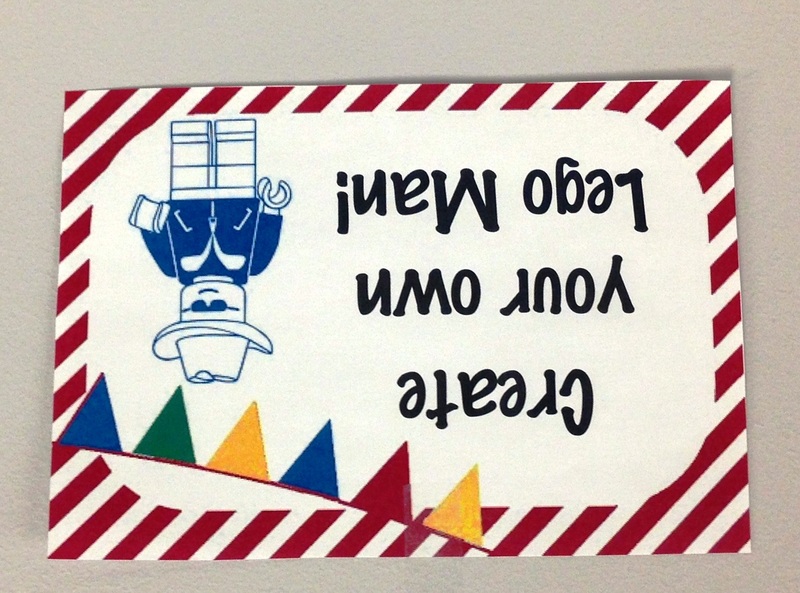 At the end of the program, I drew from the matching LEGO® pieces to pick out the winner! 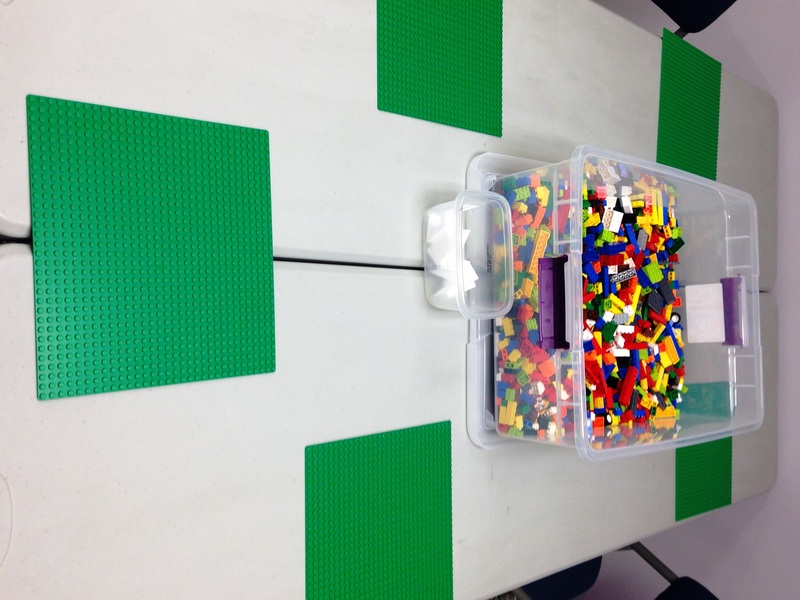 Since we had such a big group in a small space I decided to do LEGO® Stations to make for easier traffic flow. 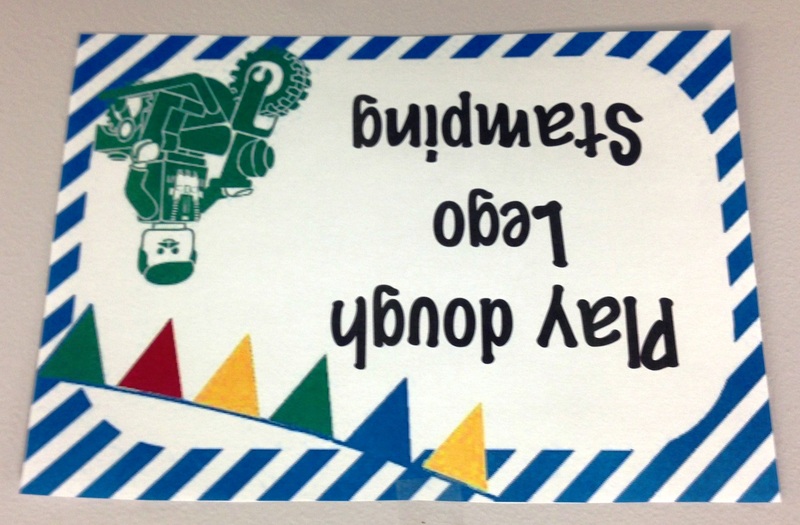 It worked out really well and gave a variety of activities to do! 1. 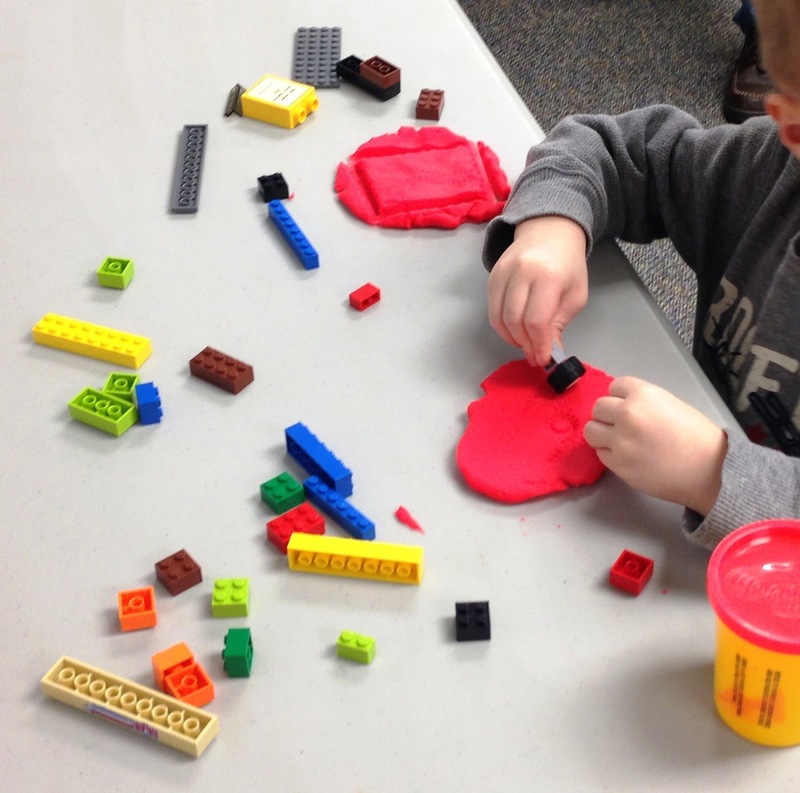 Free Play & Building Challenges: I set out LEGO® bricks and LEGO® plates for the kids to build freely and a bowl of building challenges for those who wanted something harder. This was definitely the most popular station 🙂 I found a whole list of challenges from LEGO® Quest Kids. This blog is a great resource for Lego building ideas! 1. Create something the GOES (use wheels). 2. Use the same color LEGO® bricks to make a creation. 3. Build anything using only 30 LEGO® bricks. 4. Cook-up a LEGO® food dish! 5. Create a LEGO® self-portrait. 6. Design a LEGO® maze. 2. Play-dough LEGO® Stamping- This station included LEGO® bricks and Play-Doh® for the kids to stamp on. They loved making letters and race car tracks! 3. LEGO® Man Coloring Sheets: Design a LEGO® man using crayons and craft supplies! 4. Read & Build LEGO® Books: These board books are perfect for young readers and builders. As you read the story, you build the characters! A variety of LEGO® Duplo Books can be found on Amazon. 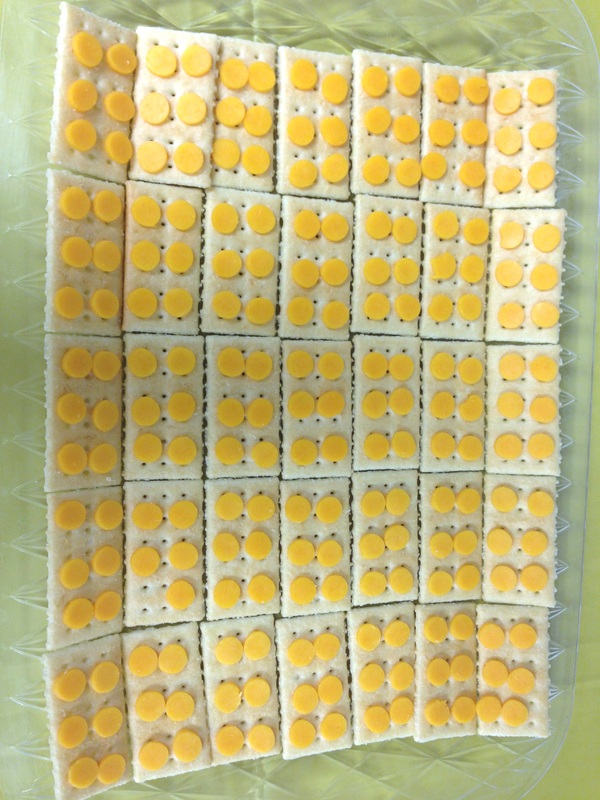 LEGO® Cheese & Crackers: Although these were a bit time consuming they turned out so cute! I used a big “smoothie” straw to cut out my cheese circles but if you have a small circle fondant cutter that would work best. 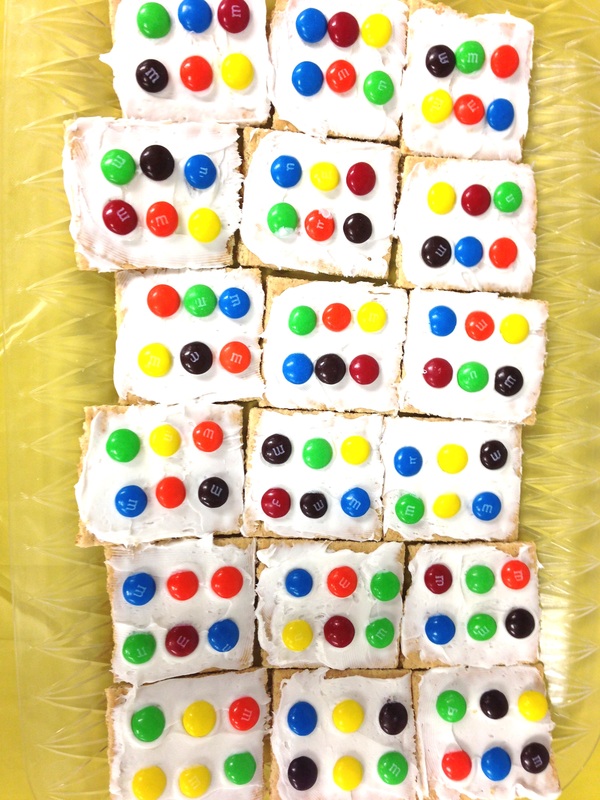 M&M LEGO® Bricks: These were my attempt at making something sweet that resembled a LEGO® brick 🙂 Although they didn’t look perfect the group really enjoyed them! Hope you all have as much fun as we did! I love this idea. what age did you run this program for? Thanks! Typically our LEGO programs would be for school-age children (somewhere between 6 and 11) but since this was a Family Night, we left it open to all ages. Parents/caregivers attend Family Nights with their children and are welcome to “bring the whole family.” We have a variety of activities for different age levels and let the adults decide which activities they want to take part in with their kids. 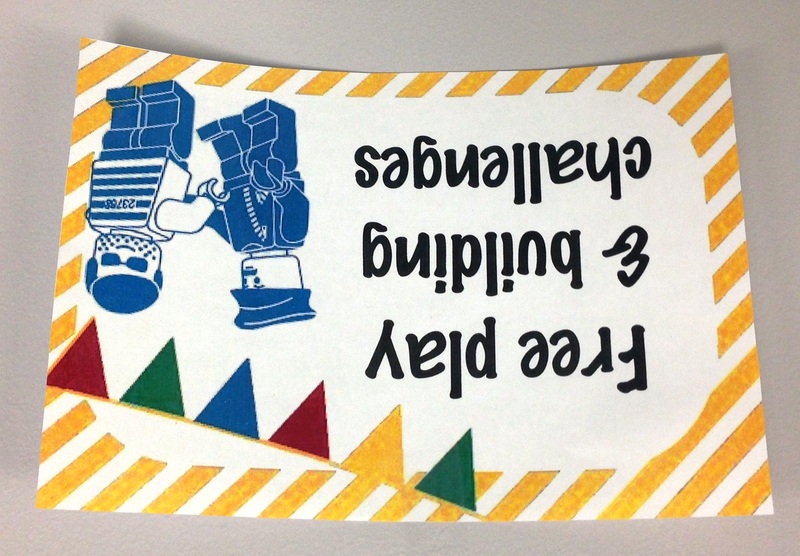 For example, the building challenges were popular with the older children, while the coloring sheets and board books are appropriate for toddlers.